286/365, originally uploaded by phlegmmy. One of those days when I was scrambling to get a picture in before the end of the day. 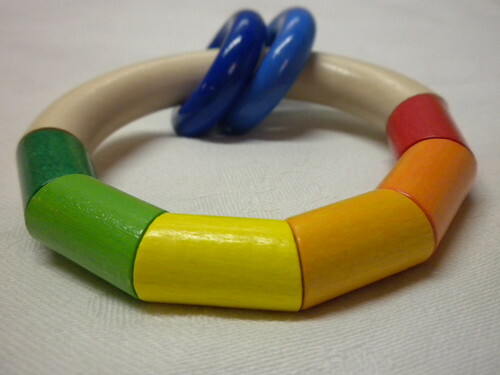 This is a NOT made in China wooden teething ring that was Nathaniels.